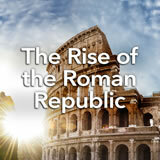 Students learn the factors that contributed to the fall of the Roman Republic. Then they examine the causes and effects of the assassination of Julius Caesar, an event that played a pivotal role in the Republic‚Äôs demise. Finally, they write a first-person response from the viewpoint of a Roman who has witnessed the Republic‚Äôs fall. In this experience, students learn the factors that contributed to the fall of the Roman Republic. Then they examine the causes and effects of the assassination of Julius Caesar, an event that played a pivotal role in the Republic’s demise. Finally, they write a first-person response from the viewpoint of a Roman who has witnessed the Republic’s fall. 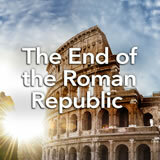 Describe the end of the Roman Republic. For good background material on this experience’s subject matter, by the eminent historian Mary Beard, read The Fall of the Roman Republic included in the Teacher Pack. The Roman Republic lasted from 509 B.C.E. 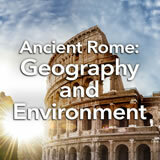 to 27 B.C.E. At that point, it became the Roman Empire. In this experience, you’ll follow the decline and fall of the Republic. Discuss student responses. Then discuss current news events about failing governments or businesses that they know about. Do you think it’s possible for a government to last forever? Why or why not? Discuss student responses and use them as a starting point for a discussion about the Roman Republic—a government that many people once thought would last forever.